Imprint Method: ColorPrint - The Session Padfolio includes a refillable, 30 ruled page 8.5" x 11.5" notepad. 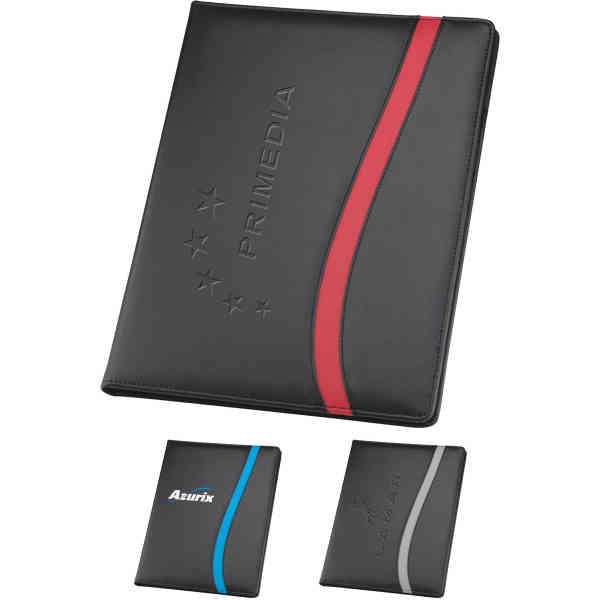 With an inside file pocket, card slots and a pen loop. A pen is not included.